Once again my good friend Linda of Glassbox Affairs recommended me to another beautiful couple, Manuel & Jazmin to shoot their engagement photos. I can’t thank her enough for her support. This time the couple was family friend’s of her so I especially needed to give special attention to them. Time of was the essence since their wedding was a month away and they needed a portrait for their wedding day. We decided on a city night life theme which represents them the most. Sometimes hectic and fast paced but always beautiful with bright lights. So we met up in Little Tokyo in the evening. With only a couple of hours allotted, we managed to come out with some great shots. Technically, it was more challenging to find available light when sun was setting and it was a hazy day but luckily i had an off camera flash with me and there was the lights of local J-town businesses. 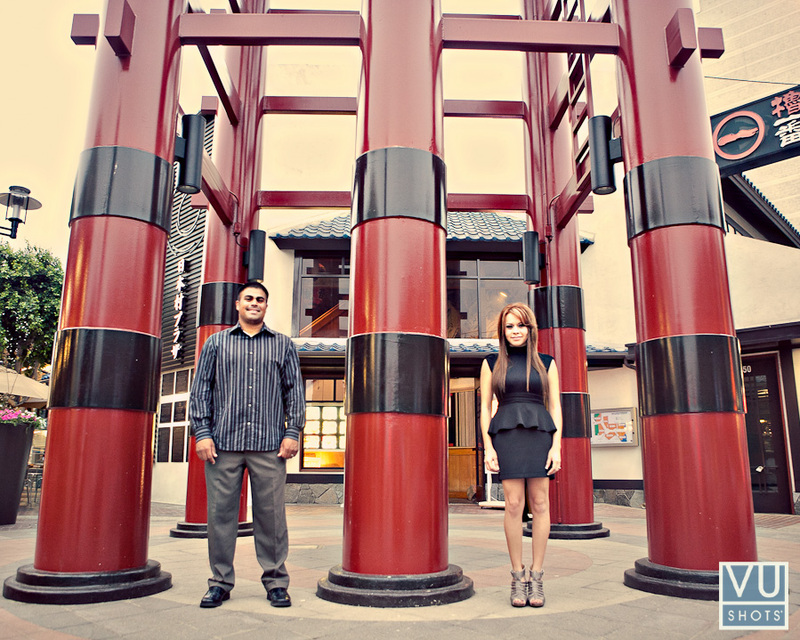 Congrats to Manuel & Jazmin as they were married the 6th of November in beautiful Costa Mesa.